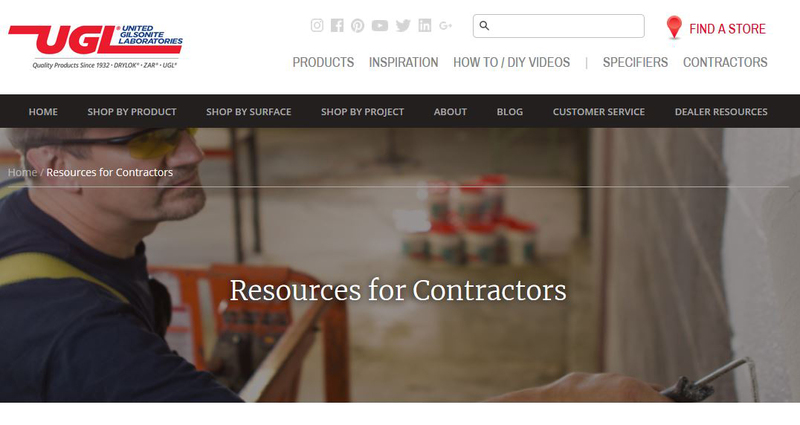 United Gilsonite Laboratories (UGL), a Scranton PA based paint specialty manufacturer announced the launch of two content specific websites; one focused on Architects, Specifiers (SPECIFIER) and Building Envelope/Waterproofing Consultants and a second focused on Professional Contractors and Applicators (CONTRACTORS). Each site has content specifically designed for their needs. The two groups expressed a need to source specific content items such as guide specifications, product technical data sheets, safety data sheets, and CAD drawings quickly and efficiently with as few “clicks” as possible. 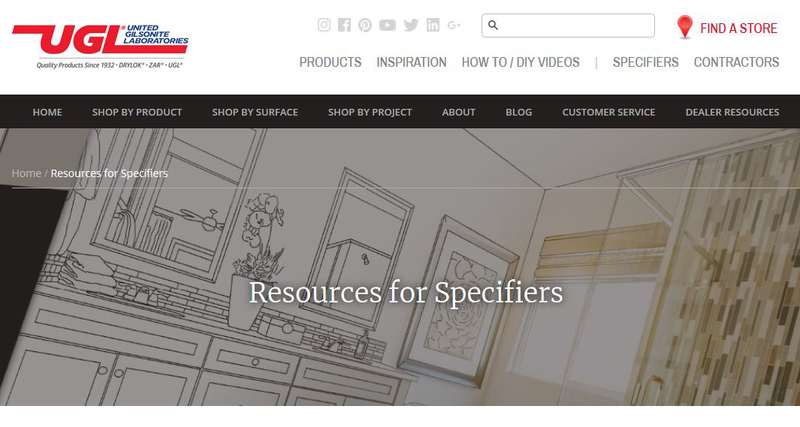 The UGL marketing team developed a fast and simple interface accessed from clearly identified “SPECIFIER” and “CONTRACTOR” links at the top of the UGL website home page (www.ugl.com). 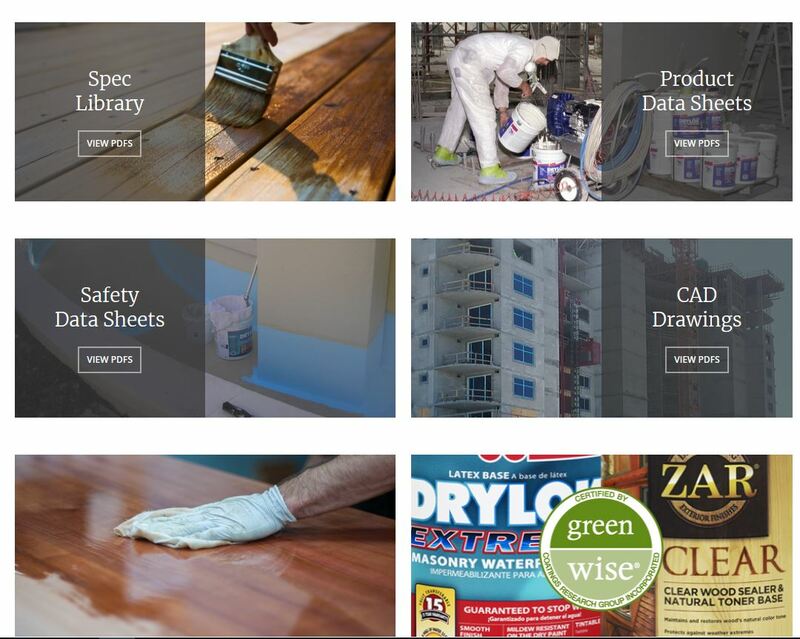 Additional content showcasing UGL’s collection of commercial and residential project case studies offers a look into the many commercial uses for UGL’s line of DRYLOK® waterproofers and penetrating sealers as well as ZAR® wood stains and clear finishes. Founded in 1932, United Gilsonite Laboratories is one of the worldwide leaders in the paint and coatings industry. The company offers a wide range of products designed for the building industry.